A Homecoming Makeover – so you can have the confidence that the once-strapless dress will not fall off or need tugged at all evening. I will be brutally honest here – I very much dislike strapless dresses. While they can be structured and sewn to fit the wearer in the proper way so that they stay where they belong and look like they will stay put, they very seldom are. 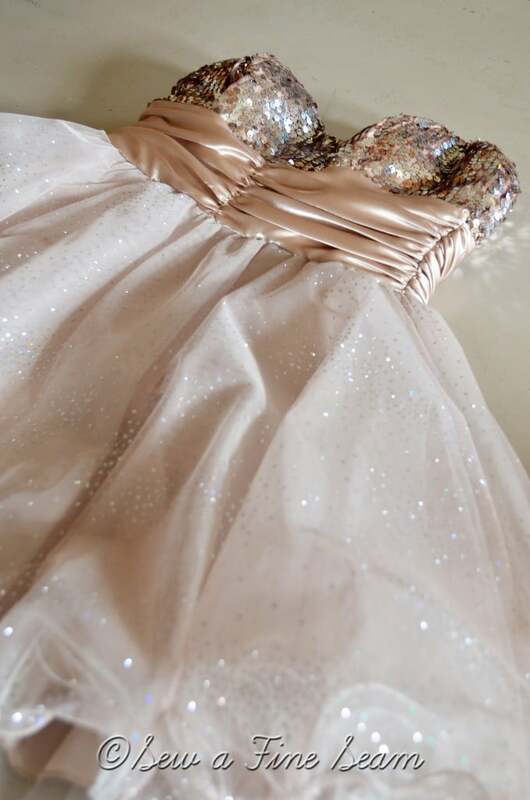 Most bridal and prom dresses are mass-produced, therefore there are very few people they really fit properly. They can be altered but it can be costly and time-consuming to do it properly. Please know that if you wear strapless dresses or you like strapless dresses, I am not judging you! This is my opinion and you certainly are entitled to your own!!!! 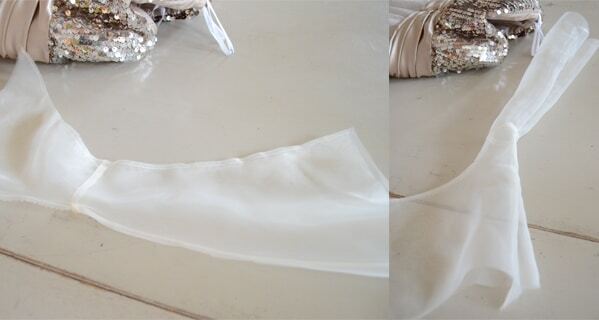 This pattern is perfect to use when adding a top to a strapless dress. 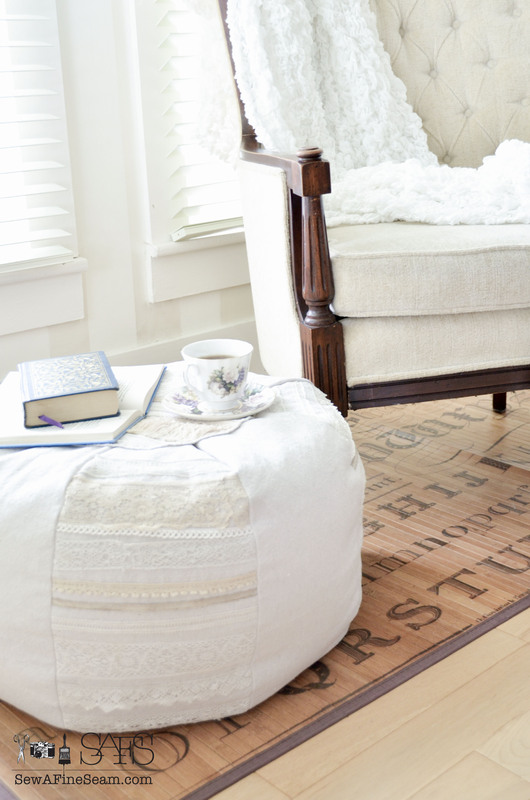 I had the pattern from an earlier wedding project and it came in very handy for this homecoming makeover. 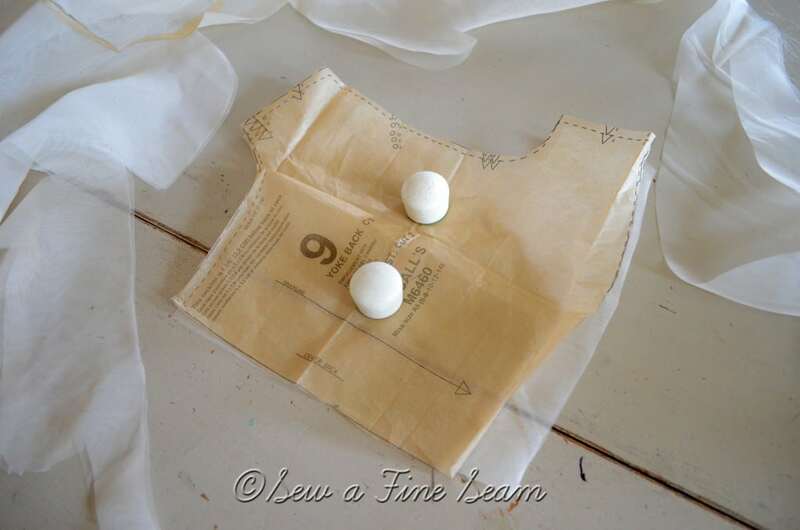 You could use a bodice pattern from another pattern but this works so well since you don’t have to figure out where to cut the bottom of the bodice off. 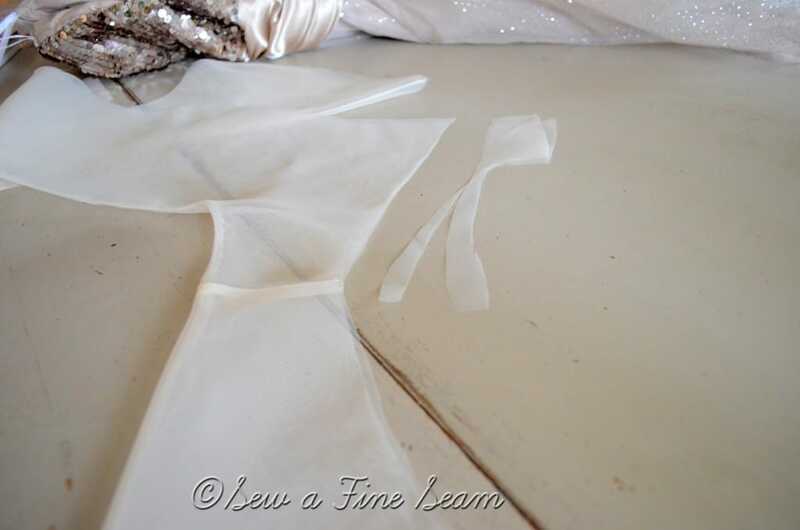 See how the shape of the pattern piece follows the shape of the top of the dress? The first piece I cut out I could tell right away was going to be too wide. So I recut it and pulled the fold line off the fold about 1/2 inch. Being on the fold that took an inch out of the center. 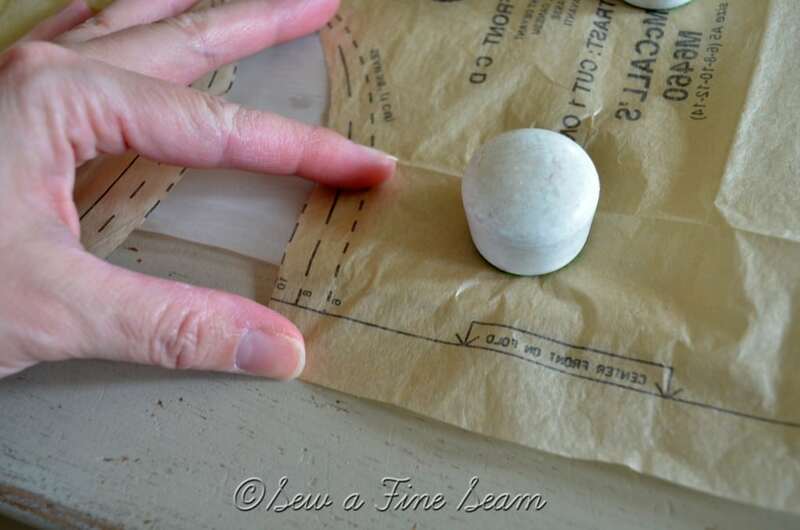 By taking it out of the center it keeps the neckline from being to big and floppy. 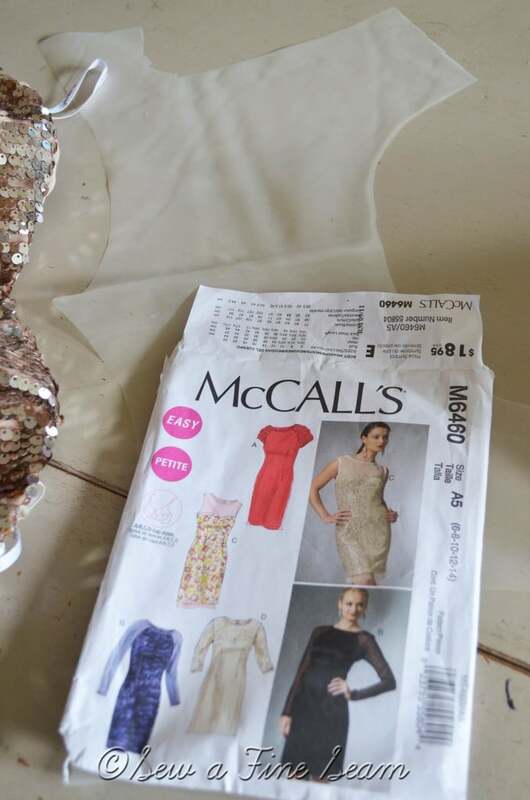 If you are using a pattern that has a whole bodice front instead of just the top, you could cut it to match the dress as shown here. I cut two pieces out of the sheer fabric and sewed them right sides together along the neck edge. 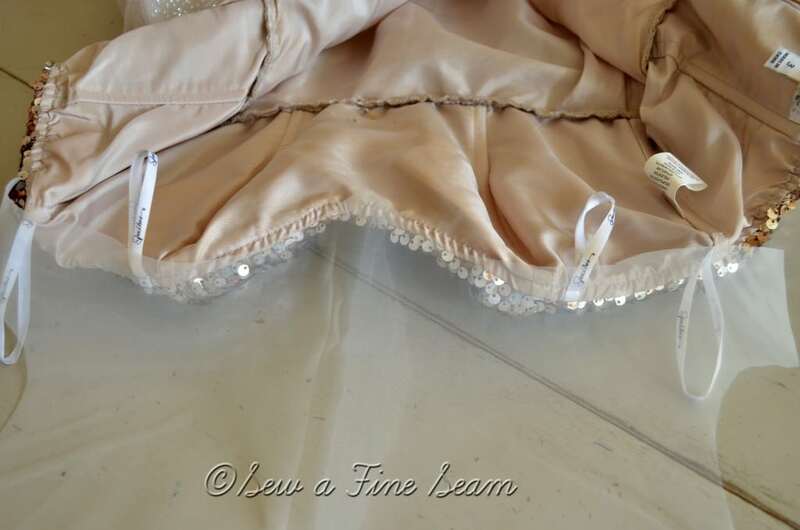 I used pinking shears to trim that seam – using pinking shears eliminates the need to clip the curves and allows the curves to lay nicely when pressed together. 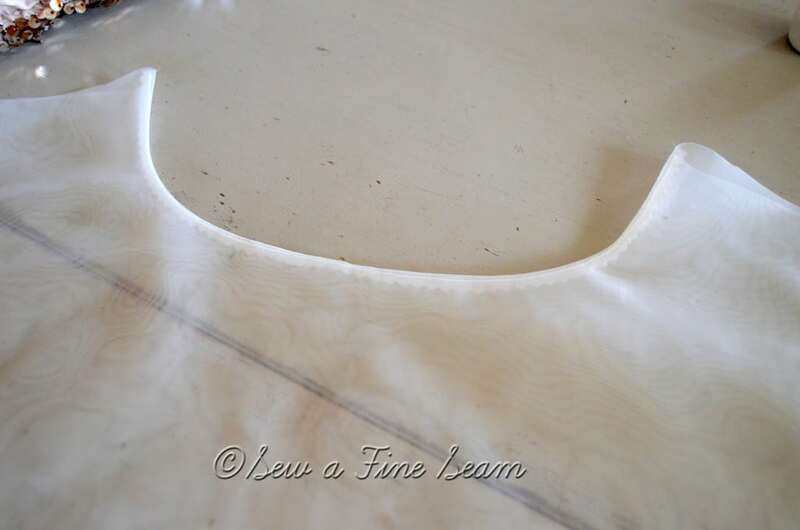 Most patterns do not tell you to use 2 pieces like this – they either have a facing to finish the neck seam or they have you make a small hem. I like this method better. I think it looks much more finished and professional. And I also like two layers of the sheer better than one. And then just trimmed of the center and side to look like I thought it should. I know this is totally winging it, and if you don’t like to wing it this won’t help you much! But it’s how I do 🙂 I cut out 2 pieces for each side and sewed them right sides together along the center angle I cut, trimmed the seam, turned and pressed. Next I sewed the back pieces to the front at the shoulder seams and turned it all right side out and pressed it neatly. Because I was winging it, I had to trim the edges to match after sewing the shoulder seams. I then turned right sides together along the sides and stitched. Turn right side out by pulling the back through the front. Press. 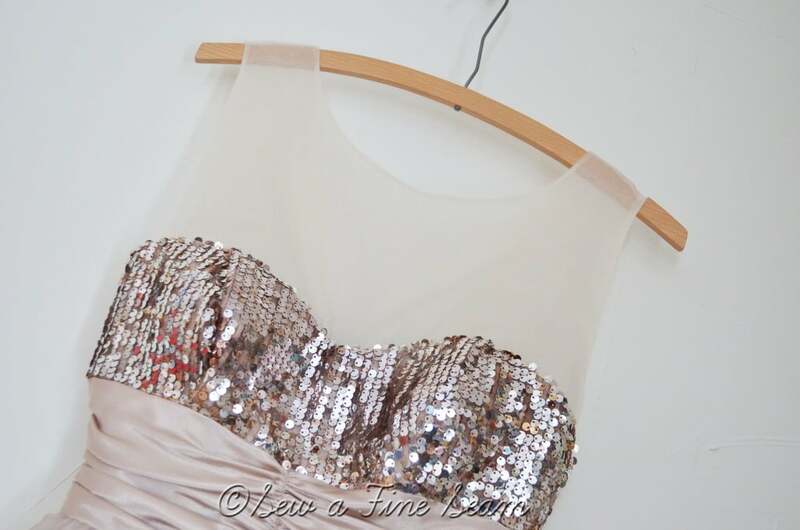 Pin to top of dress. Try on the person to be wearing it. At this point I tucked and pinned everything where it needed to be while the lovely little lady was wearing the dress 🙂 From there I was able to sew everything down tightly so it would stay put. 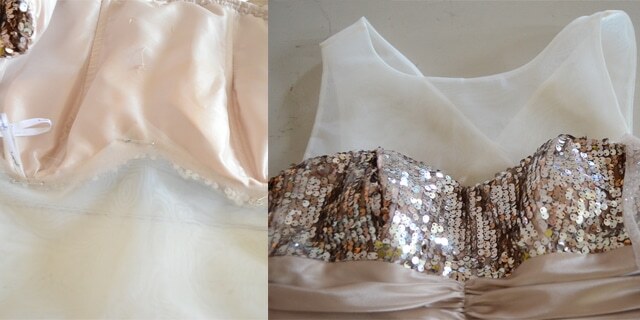 I started by hand sewing the sheer fabric to the dress along the edge from the front. Then I went to the inside of the dress and stitched it down tightly from the inside, turning the raw edges under as I went. Homecoming Makeover complete! The dress is no longer strapless. No looking or feeling like it is going to fall off, no tugging it up all night long! I loved the color of this dress – I call it Champagne. The wearer was the beautiful daughter of a friend of mine. It was such a pleasure to work with them! Great job on the re-do, looks fab!! Looks beautiful! I shall forward this to my mom. My 13 year old sister has a hard time finding dresses that fit her nicely and she has no business wearing a strapless dress and most of the dresses out there are not modest at all, so this pattern will come in handy for Mom! Thanks! You never cease to amaze me with your talents. I’m with you, strapless are tough. I don’t have what it takes to wear them that’s for sure. I do love the pics of this dress. That first one is especially cool of the ruffly part. Beautiful work on all fronts! Thanks Liz – this is a really easy fix actually even if it looks complicated. Gorgeous and so au courant! This look is being shown on many runways in Paris this spring. Thanks Laura 🙂 it was really very easy to do! Jill! It turned out fabulous! So on trend! Your friend’s daughter should feel very chic and can dance without worrying about a wardrobe malfunction! I share your sentiment with strapless dresses. Not everyone can wear that look. They may look great staring straight into the mirror, but the side profile can sometimes be less than flattering. Thank you Lynne – I was happy with the end result! You do such gorgeous work, Jill! It’s beautiful and SO stylish! 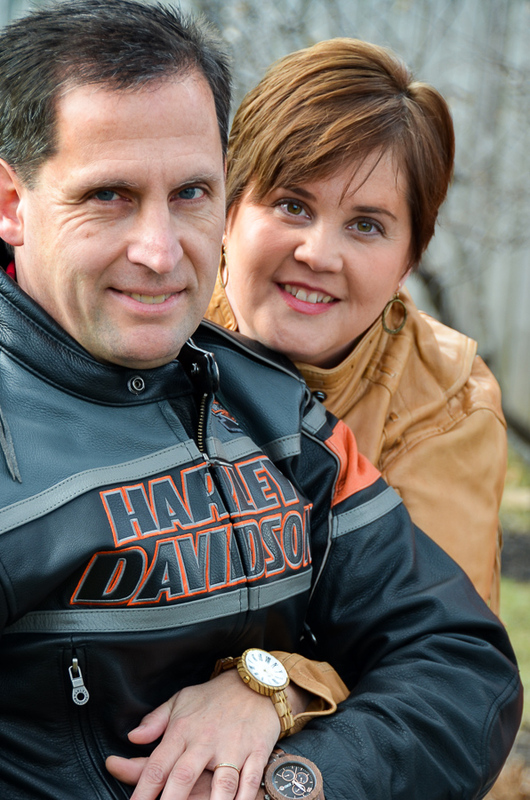 Thanks Pam – this one was fun and easy! Awh, what a beautiful dress! I love how you made just the right change to it too! 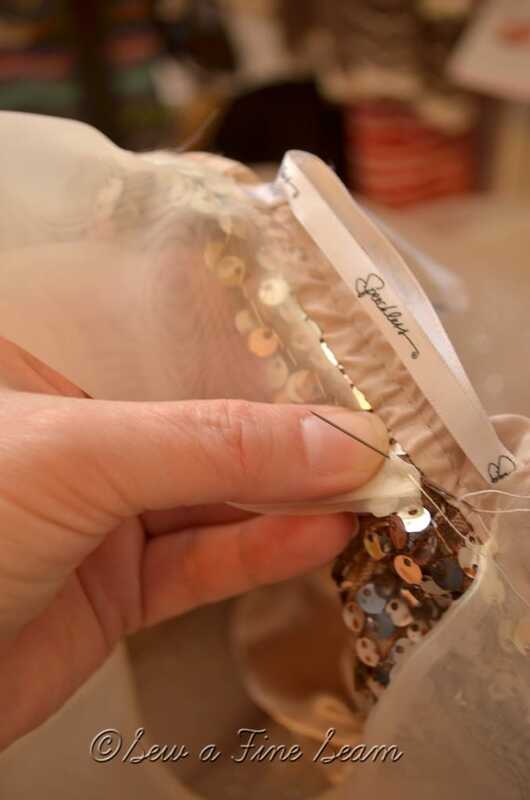 I remember my mom used to do adjustments to my dance dresses for me too! 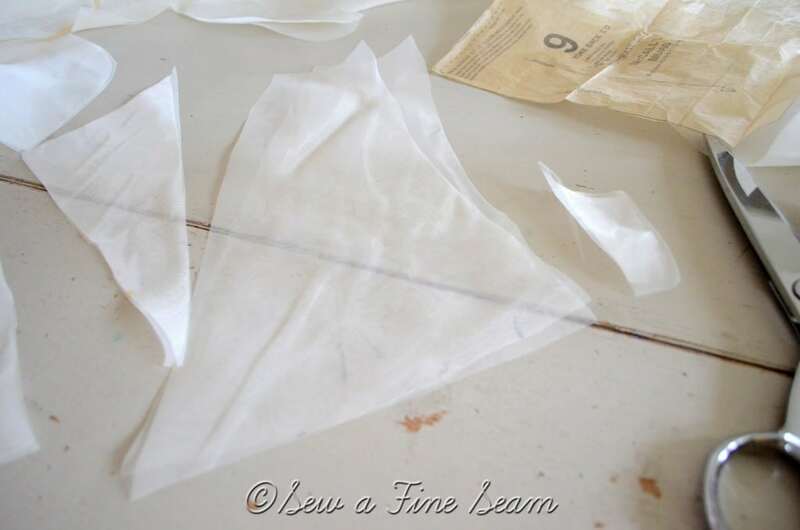 We used to make little purses out of extra fabric in the layers of the dress and fun things like that! 🙂 Perfect! 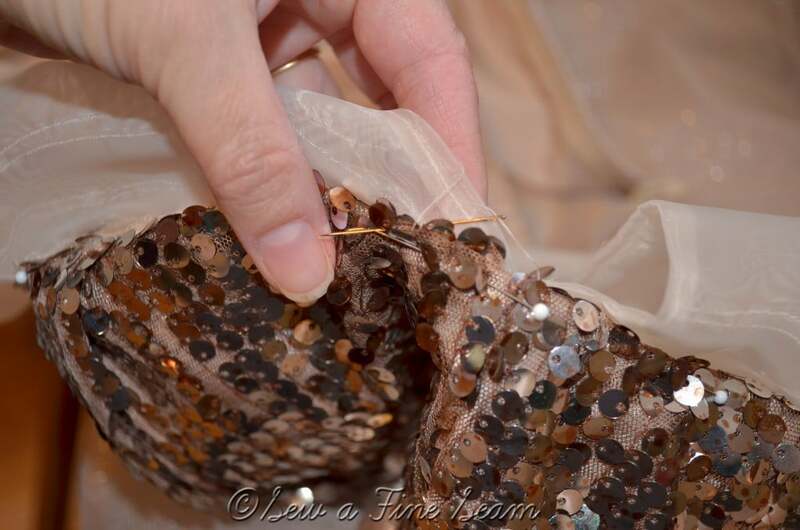 Thats a fun idea – making purses out of the layers of the dress! Beautiful. I especially like how the sheer tops brings together the sheer ruffle on the bottom of the skirt. 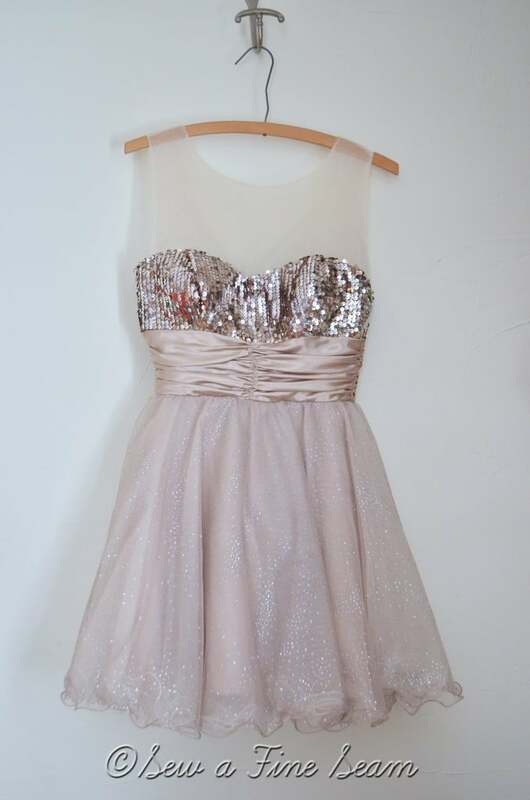 It seems that all the dresses for girls these days are strapless. As a mother of sons, I certainly appreciate the top! 🙂 As a mother of daughters I wouldn’t want mine in strapless! You are talented. You are the real deal my friend. This is stunning. The addition to the top makes this dress look amazing. Absolutely amazing. I’m with ya! I just do not ‘get’ it! I knew you were a good seamstress but now I know you’re a great seamstress!! Not only with the addition to this dress but how well the new sheer fabric turned out. I know for a fact it is not an easy fabric to work with! The dress looks great, Jill! Aww thanks, Sonya! your a sweetheart for sure! oh my. you’ve captured my heart with this post. a sparkly gown? check. adding to its beauty? check. the champagne hue? omg yum. 🙂 Thanks Michele! It looked very lovely on my friends daughter! Wow! That’s gorgeous! You’re so talented. I love that dress. I’m truly in AWWWWW Jill!!! AMAZING!!!! You are sooo talented!! Thank you Christine, see you tomorrow night! Wow you’re good Jill – I can’t even sew a hem properly!!! And what a pretty dress! Thank you Christine! I’ll be by soon! What a wonderful idea. I love that the sheer fabric looks like part of the original dress. Thanks for sharing. Wow! What a pretty way to make the dress more stable! Jill, I just saw this post. What a FANTASTIC idea! Oh how I wish I would have seen this a year ago when I was re-making the top of my daughter’s prom dress. I’ve been sewing nearly all my life, but honestly, this never occurred to me. Duh. You make it look so easy, and absolutely professional. Very, very well done. I’m pinning this one! Thank you Debbie! I’ve remade several dress tops to make them more modest but this one is my fav! I love this little makeover you did!! You are so talented with your sewing. Stopping by from the link up. Have a happy new year!